Please click here to find out how we package your racquet for Shipping. Along with new Innegra technology for enhanced feel, this latest Radical Pro retools the headsize, reducing it to a more precise hitting 98 square inches while adding full cap grommets. Though the changes and new cosmetic give a different look, the YOUTEK IG Radical Pro continues to carry its previous assets of excellent stability and feel, ideal for the intermediate to advance level player. From the baseline, our test crew noted a lively, spin friendly response from the open string pattern. A healthy swing weight offers good plow through and court penetration. At net, the stability continues, providing a solid feel. The crisp response also lends itself to good control and touch for more delicate volleys. On serve, there is plenty of power offered when looking for pace, while the access to spin allows a controlled response when seeking more control on slice and kick serves. This new and improved Radical Pro is a must demo for 4.5+ level players. The Head YOUTEK IG Radical Pro is now available online in India. Head Size 107 sq. in. / 690.32 sq. cm. The guys at iTennis are very professional. They assisted me in providing info that other online shops had no clue about. 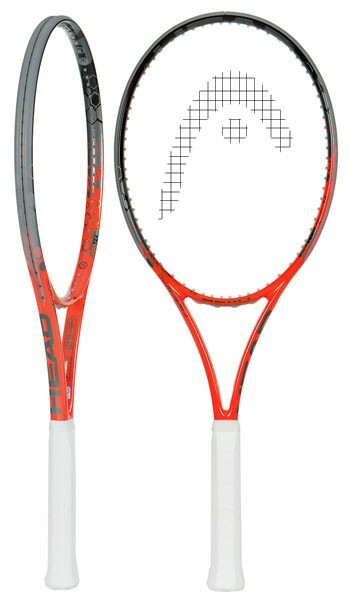 If you have not finalized a racquet, the best thing you could do is to have a chat with them and you will end up with the perfect one for you. Shipping was quick and secure too. Overall impression: Can't wait to shop again here.